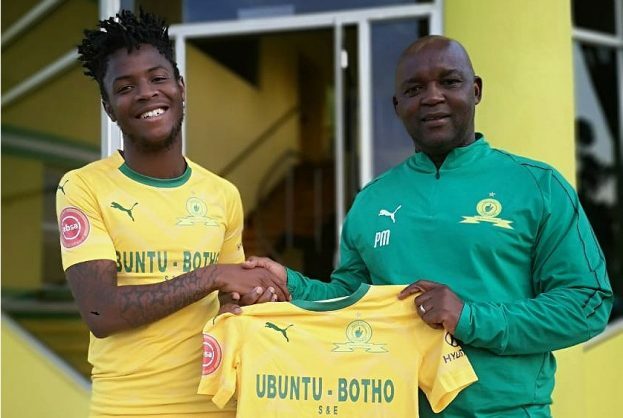 Phakamani Mahlambi is expected to play a huge role in Mamelodi Sundowns’ bid to defend the Absa Premiership title this season following his arrival from Egyptian giants Al Ahly on a five-year deal with the Brazilians. His coach Pitso Mosimane hinted that the former Bidvest Wits attacker could be Percy Tau’s direct replacement and he wants him to contribute a great return of goals for the club. “We have invested in him for five years and we are in for the long haul. We need him to score goals for us because Tau was scoring goals for us and we want that from Mahlambi because he will be key for us this season,” said Mosimane. Meanwhile, Mosimane believes his Masandawana side are in a transitional phase and could take about two seasons to return to their best. Downs are suffing the heartbreak of being knocked out of two competitions in a space of a week – the MTN8 and the Caf Champions League. “I have to give my team a chance to play together and get our new combinations right. The team might come back in two years because it takes time to get it right … and we must be patient,” said Mosimane after Cape Town City knocked them out of the MTN8.